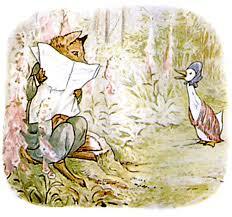 I am referring to Beatrix Potters Jemima Puddle-duck nursery story. 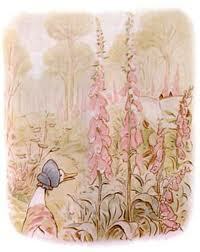 She wrote the stories and made the illustrations herself in the beginning of the twenties century. It was still a time where women couldn’t easily have a voice in public. Her books and drawings are so popular still that there is an industry keeping up the demand for pottery, toys and books. 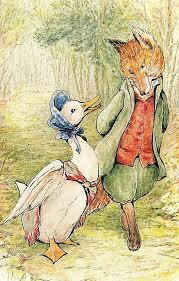 When I read the one about Jemima for my children many years ago I just got irritated at this stupid “blonde” who didn’t have the patience to hatch her eggs and I also felt sorry for her as she fell for the foxy “grey whiskered gentleman”, not understanding what he was up to. Jemima thought him mighty civil and handsome. The problem with walking away with a “gentleman” you don’t know is that the consequences will be there in your life afterwards. After reading the little book again I feel that it has an important message also to young teenage girls, who easily could be let astray by older boys or men who say nice things, but has another agenda. The shed was almost full of feathers-it was almost suffocating; but it was comfortable and very soft. 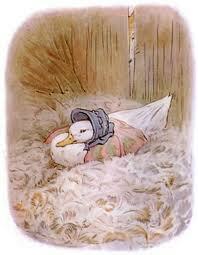 Jemima Puddle-duck was rather surprised to find such a vast quantity of feathers. But it was very comfortable; and she made a nest without any trouble at all. The word suffocating is a word to use when talking to young girls. I think it describes the feeling very good, when you know that something is wrong. The ambivalent thing is that it’s also very comfortable. The suffocating nesting place the foxy gentleman had given her. Does any body want to know how the story ended? 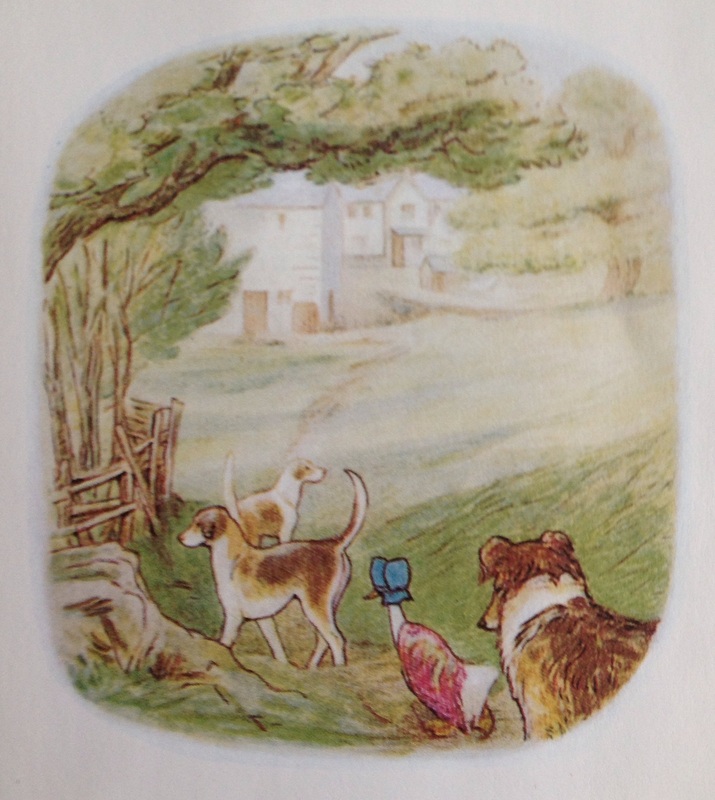 Well the clever farm collie-dog Kep found out about Jemima’s comings and goings and by the help of two young fox-hounds puppies and after a tough fight nothing was ever seen of “the foxy-whiskered gentleman”. Oh how nice. I went there with my husband in 2007 and really it looks like her books. The Japanese tourists were there in big numbers and we had to enter in shifts. Driving around in a car it was nearly impossible to park. I would like to return on hiking trips. Would that I had read the story of Jemima earlier, I might have avoided a few traumas. Me too I didn’t read it until my children were small many years ago. I ran into a lot of things I am not yet able to write about.